Welcome to the Lucky Shop! Treat yourself to a Tapping Process or Guided Visualization. and I'll do my best to create it for you! Occassionally I give my tapping processes away for free! Jump on my newsletter list so you always know when I'm doing a giveaway. If you're stuck in the start/ stop cycle of a project or you can't seem to finish what you start, this bundle is for you. It's time to get your thing out into the world! Click the "Learn More" button below for more info. This 2-part process is a creative 1-2 punch for your soul! Part 1 is "RELEASING" -- We tap through all the resistance to putting yourself out in the world -- and feeling like "Who am I to make a difference??" Part 2 is "RECEIVING" -- You get powered up in an entire tapping session of creative affirmations designed to infuse you with the confidence you need to put your work and your SELF out in the world. If you struggle with fear voices and negative thinking around being or becoming an entrepreneur-- the "Who am I to do this?!?" and "Who do I think I am??" and "What will they think?!!" kinds of voices, then this is for you. The guidebook is a gentle introduction to Pro EFT™ Tapping and how it can help dissolve limiting beliefs and fears around putting yourself out into the world. It is designed to give you the confidence you need to take action. The companion MP3 (approx. 15 min.) is a guided tapping meditation process that you can download to your devices and do on your own anytime. Light up all 7 chakras is this centering tapping/ visualization process. Each chakra is "lit up" with the color that represents that chakra as we tap through the points with affirmations specifically designed to open up each energy point. A fun, easy, joyful process you'll want to do again and again! If you get stuck in beating-yourself-up mode and negative thinking, this is the process for you. 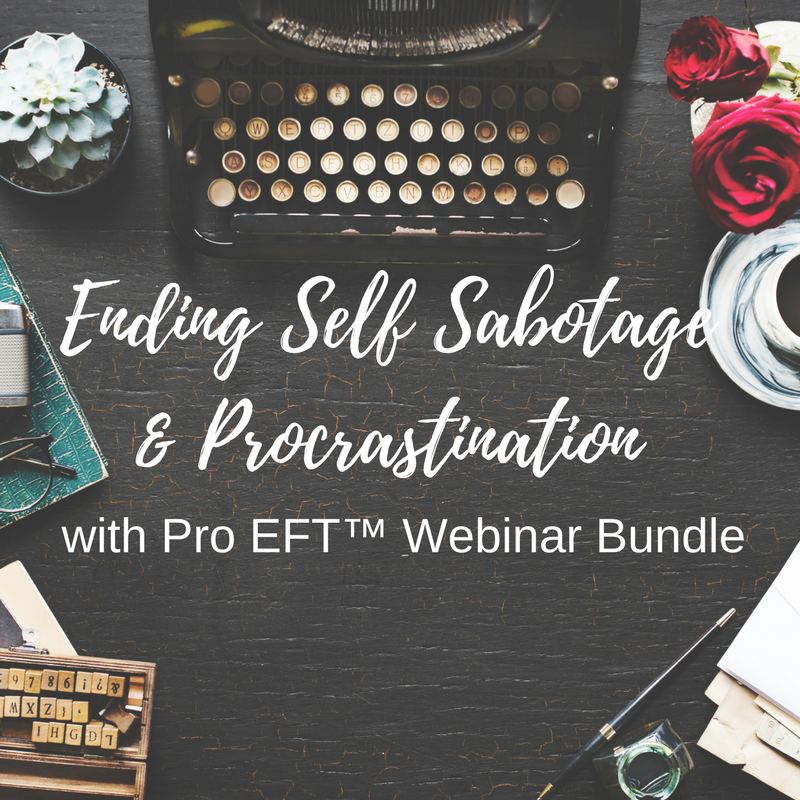 It's a deeper process designed to help you eliminate the beliefs you have about yourself that are keeping you from radical self love and self acceptance. 2-part process. Approx. 50 min total.